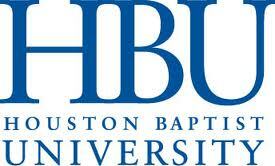 Houston Baptist University is considering dropping "Baptist" from its institutional name. Houston is doing what several Baptist churches have already chosen to do. The church I pastor is legally constituted as Emmanuel Baptist Church, Enid, Oklahoma, but in publications, advertising and web-based information our church is known as Emmanuel Enid. It is to be expected that most Baptists, both young and old, have no idea why churches and institutions carry the name Baptist. A few Landmark Baptists will try to tell you that John the Baptist started the FIRST Baptist Church, and all true Baptist churches succeed from those early Christians who met with their first pastor. Several years ago I warned Southern Baptists about the growing implications of allowing Landmark Baptists to provide leadership in our missions agencies. Landmarkers believe that since Baptists form the only true church, then baptism in a Baptist church is the only true baptism. I got censured for calling out my Landmark friends on their error while serving on the International Mission Board of the Southern Baptist Convention. But, that's another story. Some Baptists will try to tell you that the name Baptist is distinctive because it identifies those Christians who practice baptism through full water immersion rather than sprinkling or pouring. To believe that the full-orbed distictiveness for being Baptist is simply the mode of baptism is far too simplistic. Don't misunderstand me: The word baptizō means to completely “immerse" an object into another substance. That is the very definition of the word. Any parent who says, "We baptized our baby this Sunday" and refers to the pouring or sprinkling of water on their child is mispeaking. I have volumes and volumes of books in my library, written by eminent scholars, who conclusively show that the ancient Jews and the 1st and 2nd century Christian Gentiles all practiced baptism by full immersion. Even pagans understood in the early years that Christians were immersed in water, professing their faith in Christ' death, burial and resurrection from the dead. The Roman Emperor Constantine, after allegedly converting to Christianity in the 4th century, falsely believed that the Christian rite of baptism washed away one's personal sins. Because of this belief, Constantine waited until shortly before his death to be baptized in order to avoid dying with any unwashed sin. 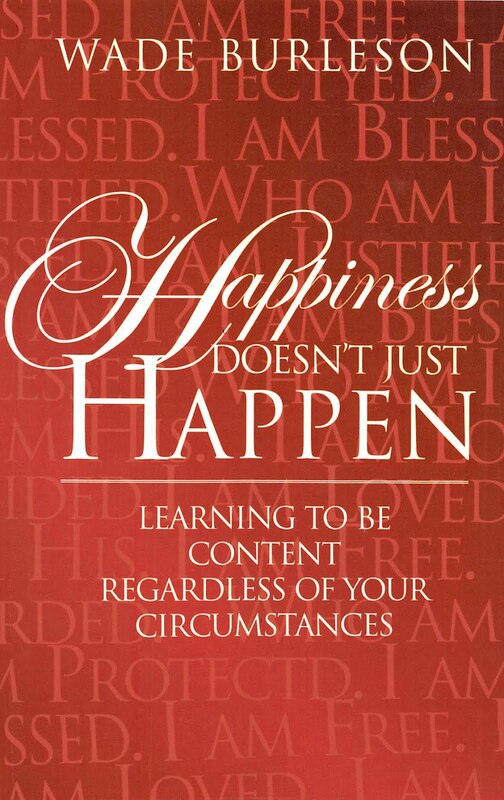 He was baptized by immersion (Eusebius, The Life of Constantine, Chapter 62). A disagreement arose in the Roman Catholic Church after Constantine's death over the timing of baptism. Many Roman Catholic theologians argued that infants needed baptism to wash away original sin lest they die in their infancy unbaptized. Infant baptism became a widespread occurance in the Roman Catholic church throughout the middle ages (AD 500 to AD 1500). Even AFTER the Reformation in 1517, Christians in those groups that split from Roman Catholicism (i.e. Anglicans, Puritans, Presbyterians, Lutherans, etc...) continued the practice of infant baptism. There are some Christians who have always resisted infant baptism, even throughout the Middle Ages. These Christians were persecuted by the Roman Catholic Church for being traitors to the state. Likewise, after the Reformation, Christians who resisted infant baptism were persecuted by Protestant AND Catholics and were given the epitath "ana-baptists" for being traitors to the state! The Holy Roman Empire throughout the Middle Ages had kings who came to Rome to receive God's blessings to rule a portion of the empire. Church and state were united. When the Reformation came, England split from Rome, but England still kept a state church--the Anglican Church. Germany split from Rome and still kept a state church--the Lutheran Church. Scotland split from Rome and still kept a state church--the Presbyterian Church. I could go on and on. Taxes paid pastors salaries in Protestant and Catholic countries. Kings appointed the pastors (bishops) in Protestant countries and served as head of both the church and the state. The Pope continued to appoint bishops and kings in Catholic countries. Those Christians in Protestant England, Protestant Europe states and Roman Catholic states who refused to baptize their children in infancy eventually became known as Baptists. The Baptists in England and Europe, like their ana-baptist forefathers, were persecuted for being traitors to the states in which they lived. For over a millenia, Christian names and state citizenship had been bestowed on children at their baptisms--the rite which came to be called christening. Baptists refusing to baptize their infant children were deemed traitors to their respective states. Some Baptists were tortured and others were put to death by their governments. Some sought to escape persecution by coming to the newly discovered land of America. But what is important to understand is that Baptists have historically lived by a deep conviction that the Kingdom of God is separate from any kingdom of this world. (1). Freedom of religion--because allegiance to Christ can never be forced. (2). Separation of church and state--because our kingdom is not of this world. (3). Freedom of speech--because eternal Truth is never afraid of spoken error. (4). The sanctity of all human life--because all human life comes from the Creator and is meaningful because of Him and not because of one's class, race, gender, religion, political affiliation, or one's country. (5). States must protect the individual's rights--and when the state abdicates her role as protector of the individual, then individuals have the right to overthrow the government by ballot, or when necesssary, by force (see Baptist John Gano, Chaplain for George Washington and the Revolutionary Continental Army and the pastor who baptized the father of our country during the Revolutionary War, as an example for when a Baptist believes war is justified). America's Bill of Rights was attached to the United State's Constitution as a direct result of the efforts of Baptists in America. These Baptists came from England and Europe and had seen the damage church/state governance does to individual rights. Soon, throughout America, First Baptist Church's began to dot the landscape. Convictional Baptist Christians were now proud to be identified as Baptists, and no longer had to hide for their lives. They were living in freedom in a country that understood the necessity of protecting the rights of the individuals in the state. Unfortunately, over the past 200 years, we Baptists have lost sight of our foundational convictions and have become far too political, far to ideological, and far too egotistical for our own good. Being a convictional Baptist is far more important than being called a Baptist. If we are called Baptist, but are not Baptists convictionally, isn't that somewhat analogous to being hearers, but not doers, of the word? I think it is. Not walking what we're talking. 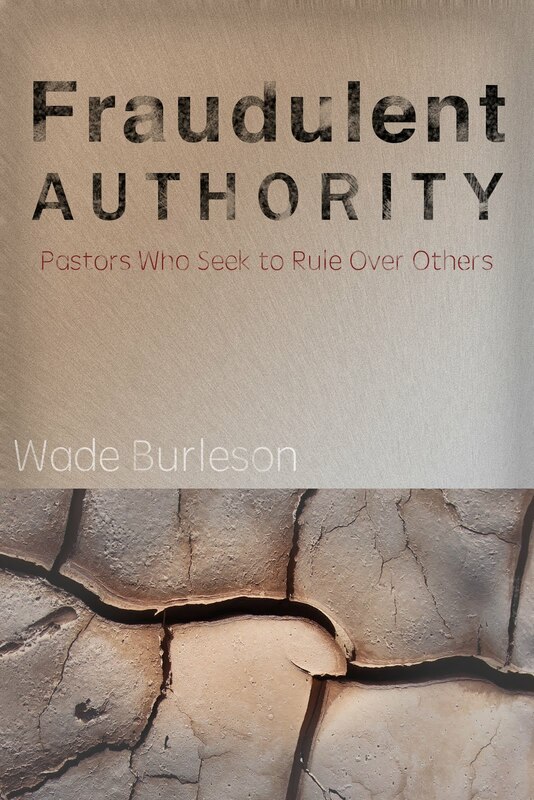 Another thought that just cropped up is this: in insisting that people conform more and more to new "guidelines", the "leaders" are taking away from what I always head were the hallmarks of being a Southern Baptist ... soul competency and church autonomy. Play along for a second here ... a pastor who does not believe in security of the believer baptizes someone, and SBC leadership holds that as invalid. It's against one of our "core beliefs", as reflected in the BF&M. Well, how about the baptism by a pastor who does not believe the "office of pastor" is restricted to men? Would his baptism be invalid? How about one who believes one should tithe, but does not espouse "cheerfully, regularly, systematically, proportionally, and liberally"? Or any other point of the BF&M? By trying to make the SBC more "SBC-like", they'll eventually destroy what the SBC has traditionally been like. I hope I live long enough to be around to say "I told you so". I still hold to the priesthood of THE believer, local church autonomy, democratic governance, and separation of church and state. Problem is, those very Baptist beliefs are not welcome in my local SBC church. Maybe when the SBC ceases playing RCC and becomes SBC again I'll go back. Reading this post made me even more homesick than I already am. I grew up Baptist and am still Baptist at heart. I miss being in a Baptist church. Like Linda, I'm in exile in a Reformed church. We've dedicated our daughter in a Baptist church and had her sprinkled in a CRC church so we could become members. When she confesses faith in Christ, we will encourage her to be baptized by immersion even if we are in a Reformed church. I lost track of how many Baptist churches we visited before we gave up. The views on women were simply unacceptable to us. Amen. Your comment and that of Linda's resonates with me. If you had, you’ changed “AD 500…” to ‘AD 251…’ and instead of saying, “…past 200 years…”; you’d said something like ‘when the powers that be removed J.M. Carroll’s picture from the walls of SWBTS. Carroll’s book, ‘The Trail of Blood’--1931 that was once believed by Baptists does NOT say Baptists started with John the Baptist, but his critics twisted his words so they could dispute his book. What really bugged them was Carroll wrote the writer of First, Second, and Third John was who he said he was—“John the Elder” and NOT John the Apostle. Carroll believed history that recorded John the Apostle being killed by boiling oil which would concur with the prediction of Jesus that John would drink of the same cup that Jesus drank. Loved this post. I wanted to add one thing to this list. "The sanctity of all human life--because all human life comes from the Creator and is meaningful because of Him and not because of one's class, race, religion, political affiliation, or one's country." And that is the word "gender." In China baby girls are routinely killed because parents are allowed to have one child and they choose boys. Today, in the US, there is also evidence that there are selective abortions going on due to gender. As an aside, I once joined an evangelical church that practiced immersion believer's baptism but allowed people to join if they had been baptized as infants. I will add the word. It seems to be that being convictional should also include being honest. So what if people don't know what it means to be Baptist? Will you help them understand by the school hiding who it is? There was a day when Christians were proud of the heritage of their churches. Now churches cover up their heritage for marketing purposes. Few people, if any, know why Baptist is in the name. Long before being baptist was something to be proud of, people were baptist by conviction. Whether we are Christians who are called baptist or not, doesn't change the fact that we are Christians who believe the Kingdom of God is not of this world. My wife and I were Baptists by conviction. The local congregation we joined were ridiculed as being "people of the book". Our investigation of this led us to be baptized and join them. 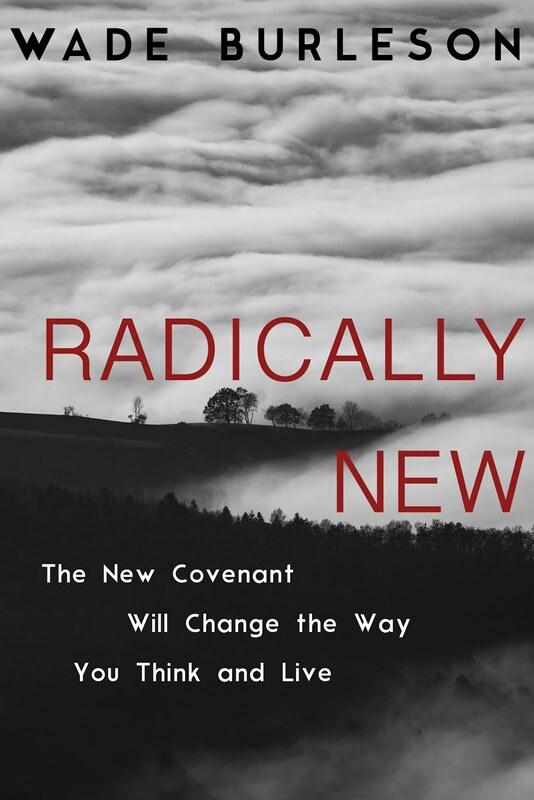 Some of our theological convictions were challenged, and changed,to a different one to theirs, but we wouldn't hesitate to be a part of that family of believers again, but the disease you and your respondents write about, has devastated the denomination which once had Jesus Christ as their Head. Sallie and Linda, I totally agree. I miss the SBC of my childhood with Priesthood of believer, soul competency and in my neck of the woods, the women ministered wherever, whenever, including teaching mixed classes. It never occured to us it was a sin. Oh how much we have changed. So, I'm curious. Why take "Baptist" out of the name of your church? Thanks for explaining. Each church must decide the position they will take on this. I know a lot of other churches that maintain fellowship in the SBC have also taken the "Baptist" out of the church name that they use publicly for various reasons. One could argue that if Emmanuel portrays the admirable characteristics that you describe that keeping "Baptist" in the name of the church would contribute greatly to the reputation of "Baptist" churches improving. But I still respect your decision although I am disappointed to see this trend. "One could argue that if Emmanuel portrays the admirable characteristics that you describe that keeping "Baptist" in the name of the church would contribute greatly to the reputation of "Baptist" churches improving. Good point. Until there is a greater flow of members OUT of Emmanuel to join OTHER Baptist churches (with Baptist in their name) instead of vice-versa, we believe we are on the right side of the name change. Imagine that! As Wade defines it, I've been a Baptist for over 30 years and didn't know it? I've never even been to a Baptist church. I believe a Baptist is a New Testament Christian. If you’ll recall your ‘history’, I believe you were chosen by the “mean-spirited opposition” (your words) to be an IMB member because you wrote against the CBF (Cooperative Baptist Convention--their enemies) because they split from the SBC. The CBF believed the ‘glue’ that held Baptists together was missions, while the Conservative/Resurgence that took over the SBC believed the ‘glue’ was doctrine. On a mission trip to Kazakhstan, people called themselves ‘Believers’ because the name ‘Christian’ was hated. The name hated more was ‘Baptists’. Wade, I think if you want to remove the name ‘Baptists’, you’ve throwing the baby out with the dishwater. The name ‘Baptists’ originated from the hated name ‘Anabaptists’ long before Martin Luther. I believe to eliminate their name is to silence their martyr’s blood cry throughout the ages.